Oak & Associates provides a variety of consulting and valuations services, as well as training programs & seminars. Very often an agency owner is involved with some situation or problem in which they have no experience or would like a third party opinion. Oak & Associates can provide consulting on an hourly basis to help resolve these issues. An effective exit strategy will take time to develop. Owners without a perpetuation plan may not receive top dollar for their firm and may end up owing extra taxes. Oak & Associates will work with you to map out a plan for a smooth and tax efficient transition. The coaching service is customized to provide personalized support, followup and attention on any specific issues the client wants to address. Services include mergers & acquisitions, business valuation, strategic business planning, perpetuation planning, and management & operational studies. Our experience working with hundreds of independent agencies provides us with the experience and insight that allow us to focus on the important issues and get quick results. Whether you are looking to buy, sell or merge, Oak & Associates can assist you in finding the right parties and close the deal. We can assist you if you need help on structuring the new entity. We highly recommend that the parties perform a Compatibility Analysis prior to any transaction. It often helps to have a third party who is unbiased toward any party for this analysis. We are able to ask the tough questions and quickly get to the heart of the issues for all of you. Is your business running efficiently? We can review the management structure as well as the workflow within an agency. We can help you design a new organization or just refine the existing structure to make it more productive and profitable. Successful agencies are pro-active rather than re-active. Oak & Associates will work with the owners and key staff to develop an overall Strategic Business Plan or a specific Sales & Marketing Plan. How much can you afford to pay a producer? Are all owners getting paid at a level equal to their work contribution to the agency? We can review your compensation plans to make sure that the agency is paying the owners and producers what it can afford to pay. Would you like to have regular access to an expert consultant that not only knows the industry, but also knows your agency? 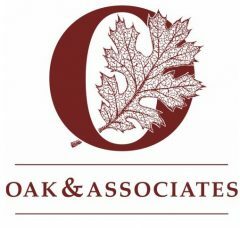 Oak & Associates has developed a new service in which our consultants work with you and your agency on a regular basis. This allows the owner to keep on top of the key issues impacting the firm and tap unbiased, expert advice on what needs to be done. The Retainer Service program offers two levels of support for you and your agency. The foundation of the program is regular monthly consulting. The consultant will review with you the key issues impacting you at that time – agency operations, management issues, sales management, planning, etc. In addition to the monthly consulting calls, the program offers access to our other services at what would be reduced rates. Each year you can choose from a list of our services that you would like Oak & Associates to perform. Both levels include two-hour monthly calls to discuss what is important at that time or to follow up on work in progress. This way, owners will have a coach that will keep them on task, as well as an outside expert to brainstorm on new ideas. Level One members can choose one of Oak & Associates services from the Retainer Service list to have performed during the 12-month program. Level One members pay $750 per month for the 2-hour monthly calls and one of Oak & Associates services during the 12-month program. Level Two members pay $950 per month for the 2-hour monthly calls and two of Oak & Associates services during the 12-month program. Please note that expenses, such as travel, will be in addition to the monthly fees. Should I sell or should I buy? What is my firm worth today? Sign up below to get quarterly emails that answer all that and more.